The regatta will be held in accordance with rules and regulation defined in the Sailing Regatta Rules and Regulations of ISAF (edition 2009-2012), by the ORC andClassic Regatta Index (KWR) equalization rule for 2011. 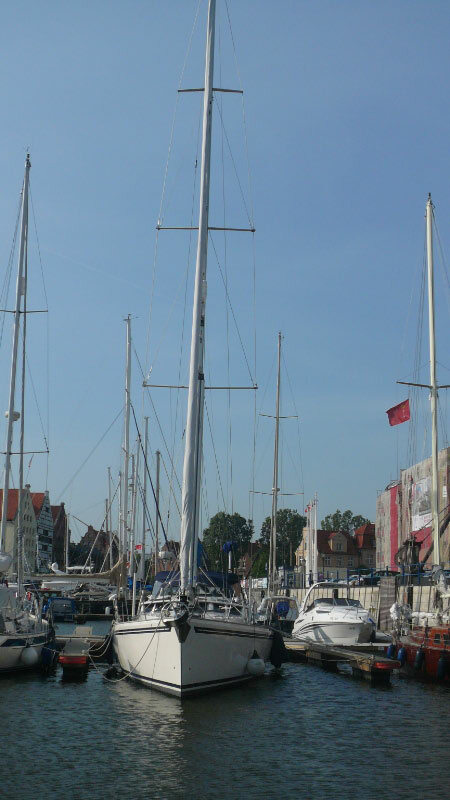 2.1.The regatta is open for all polish and foreign yachts registered and admitted to the sailing regatta. Each yacht can be classified only in one class. 3.1.Final on-site registration should be done in the regatta office in Gdańsk Marina on 17th June 2011 between 5.00 and 9.00 pm. -A Polish Sailing Association licence for individual advertising. 4.2 The programme includes 4 races. The sailing instruction will be available after completing the registration procedure in the regatta office in Gdańsk Marina. Yacht testing and equipment’s measurements defined by the regatta rules and regulations can be taken during the regatta. Races will take place in the Bay of Gdańsk near the Sopot and Gdańsk Brzeźno piers. 8.1.The regatta will be found valid after one race in each group has been completed. 8.2.A group will be classified if it includes at least 5 yachts. 8.3.Scoring systems: according to equalization rules and small points. 8.4.If five identical yachts register for the regatta they will form a separate group. By registering for the regatta all contestants give their permittion to use their image by the Organizer and sponsors in pictures, films and other reproductions prepared during the regatta as well as any other materials concerning the regatta free of charge. Contestants who will take top three places in individual categories will be awarded regatta cups. Other prizes will be awarded in accordance with the prize rules and regulations that will be presented to all contestants on the information board before the races. Contestants take part in the regatta at their own risk. See rule 4 of the Decision to take part in the race. The Organizer does not take any responsibility for any damage to equipment or persons or for deaths resulting from the regatta before, during and after the regatta. Each yacht taking part in the regatta must be covered by liability insurance for the time of the regatta. 13.1.There is a possibility of towing yachts with no motor from and to Gdańsk Marina before and after races on Saturday and Sunday. If you want to use it please notice this fact in Race Office on Friday 18th June 2010. 13.2.Contestants of PPJK regatta are obligated to place stickers of PPJK on both board – stickers will be given during regatta registration. 13.3.For information about towing, sliping, the crane and parking for the cars and trailers please contact Rafał Grad – + 48 58 524-18-52 or by e mail: rafal.grad@mosir.gda.pl . 13.4.For further information please contact Mr Rafał Grad – + 48 58 524-18-52 or by e mail: rafal.grad@mosir.gda.pl .